A rug designed by New Zealand artist Ralph Hotere and based on his painting Empty of Shadows was recently sold for $8000 by Auckland auction house Art + Object on behalf of Arts Access Aotearoa. When Lotto New Zealand closed its Wellington office in 2014, it gifted the wool rug (200 x 200cm) to Arts Access Aotearoa as a fundraising opportunity. The rug was made in the late 1980s by Dilana Studio Rugs in its Christchurch workshop, which Hotere (1931–2013) often visited. It was made under the direction of Hotere himself and was the first in a series of rugs featuring the work of New Zealand artists. 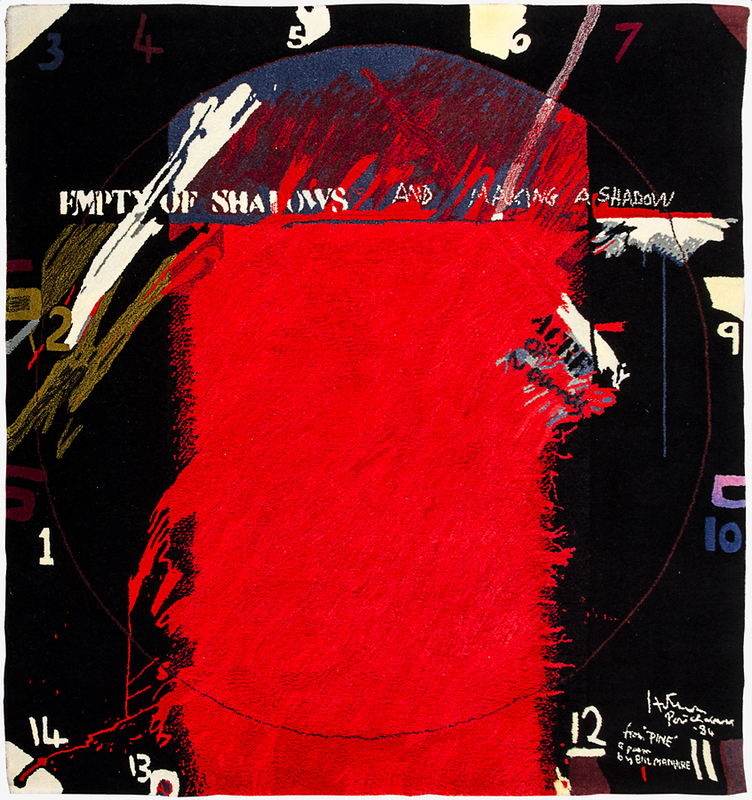 Signed “Hotere Port Chalmers ’84”, the rug includes the text “empty of shadows and making a shadow’ and “ache of wounds” – lines from Pine, a poem by Wellington poet Bill Manhire. The numbers on the rug (1 to 14) are an evocation of the Stations of the Cross. The third artist woven into the rug’s history is actor Sam Neill, who owns the original oil painting. Fittingly, the rug was purchased in the Auckland auction by a Christchurch collector and returned to the city where it was created. Leigh Melville of Art + Object says the gallery was delighted to support Arts Access Aotearoa with the sale of the rug. “Ralph Hotere was a hugely important artist and we have many clients who collect his work," she says. "Several of them were excited at the opportunity of acquiring this beautiful artwork. Richard Benge, Executive Director, Arts Access Aotearoa, says: “We greatly appreciate Lotto New Zealand's and Art + Object's generosity, and their understanding that partnerships between not-for-profit organisations and leading businesses are essential for a diverse New Zealand society and its cultural life to flourish. Original generation time 1.8649 seconds. Cache Loaded in: 0.0219 seconds.